Well. It’s not like “fidelity to source” is a surprise coming from Snyder. Best Bat-suit ever? It might be. It’s definitely the first attempt since Adam West to make the fabric look from the comics work on film. 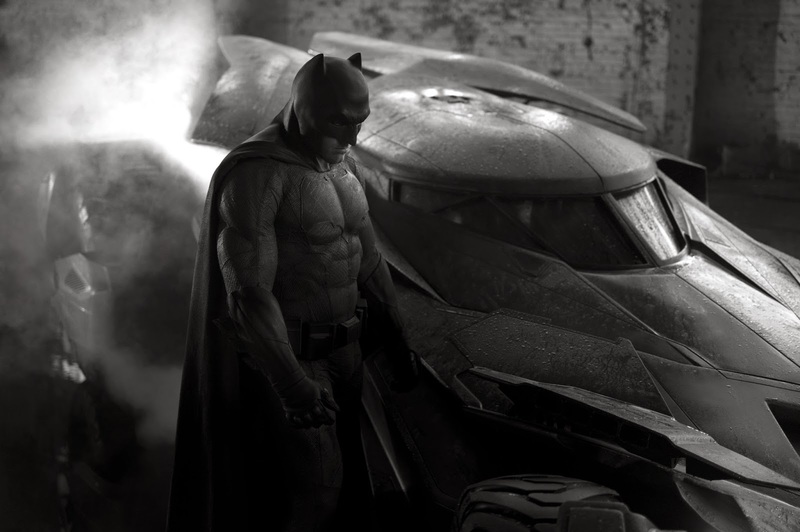 It’s not an official production still – it’s a black and white/low-contrast shot taken from Snyder’s own camera – so you can’t get much sense of what’s going on colorwise. There’s definitely a different texture/material on the cape/mask/gloves/boots than on the main suit, but it’s impossible to tell whether it’s another all-black color scheme or gray/black (or gray/blue) like many were speculating. I like it. Now let’s see Wonder Woman and the (supposedly) redesigned Superman.